The University of Reading Archaeology Field School https://www.facebook.com/UoRFieldSchool/ has just finished a second year of excavations at and around Marden Henge. I was lucky enough to be able to join them for a week of digging and to be able to visit several times. huge thanks to the team for making me so welcome. Last year the team fully exposed the "Sweat Lodge" and also uncovered a burial at Wilsford Henge and the associated finds were spectacular. This year has not produced such a haul of finds but I think maybe has uncovered some more interesting features. Apocryphally Lord Rutherford once said: “All science is either physics or stamp collecting.” A similar sentiment can be said of Archaeology. It often isn't the spectacular finds that tell us most about a site. 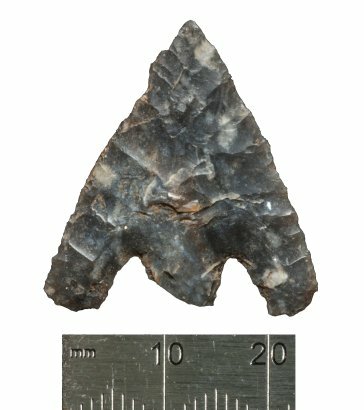 The field school has publicly revealed some of its finds, such as the arrow, and released pictures of the trenches being dug. One of the finds is a D shaped series of post holes under the Henge bank which is being interpreted as a building. Within the centre of the southern Henge within the Henge an antler pick and scapula were recovered and features that predate the Henge building revealed. I can't wait to find out if the pick and scapula, thought to be used as a shovel, date from the Henge building period or before. Other features uncovered in the last few days there may, after analysis, add to our understanding of the creation of the major megalithic monuments of the area, or on reflection may just be significant to Marden. It is not my place to speculate further. The work on the soil layers near the river revealed an ancient neolithic soil surface well protected by more modern peat and soil layers which provides a great basis for further investigations. The Facebook posts also talk about the investigation of geophysical anomalies which proved not to be a man made outer ditch to the Henge but to be a natural feature. I don't think it is any secret to say that they appeared to be peri-glacial features. How they may have influenced the Henge builders may, I think, be the most interesting discussion that will arise from this years excavations. I'm looking forward to the results of this years excavations being released and next year's dig where we will learn even more. I for one will be waiting impatiently for the dating results for the antler pick. I presume I'm not the only person who suspects that Marden/Wilsford was originally a stone-haulers way-station long before it was a populous community.